Is it possible to assign a component to be the global control? Atm the checkbox for “Base Rig Control”, called “Use World Ctl”, only renames the global control. Maybe it should be an option to assign a component as global control? Sorry, I should have explained my situation a bit better. I want to assign the global control to an IK reference array. As far as I know, you can only do that by having a component for the global control, that you assign in the IK reference array? 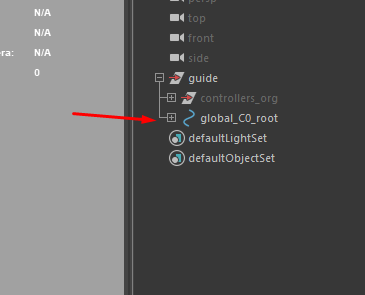 If you have a component (“control_01”), you end up with two global controls, the default, which is always created, and the component you’ve created. Maybe there should be created a global component automatically, similar to how you create the “guide” group when creating components?